After obtaining a Humanities degree from The University of Manchester, Andy founded the alternative what’s on Manchester magazine City Life in 1983, before going on to become Diary Editor at the Manchester Evening News. In 1998, after ten years at the newspaper covering the celebrity and music scene, he left to set up creative communications agency SKV Communications. The agency is known for its high impact launches, introducing to the public everything from the George Foreman Grill to the Lowry art complex. SKV has won more than 40 PR awards and helps both private businesses and public sector organizations manage their reputations. Clients include professional services firms, the 5-star Lowry Hotel, Gary Neville’s controversial St. Michael’s project and Transport for Greater Manchester. It is the only Manchester PR consultancy with a UK Crown Commercial Services framework place for government department marcomms. 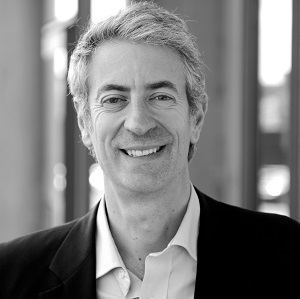 At the University of Manchester, Andrew is serving a second term on the board of governors, and he is a Trustee of the Manchester Camerata chamber orchestra. He is married with three kids and lives in Stockport.